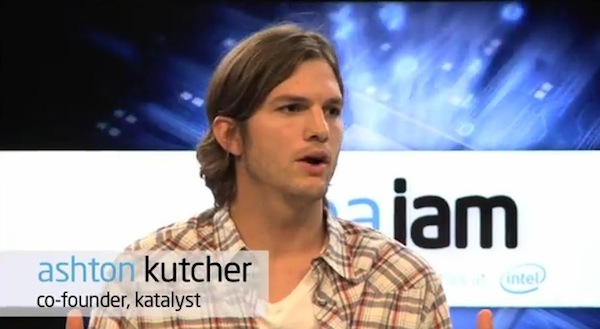 Ashton Kutcher’s production company Katalyst has revealed its first output from new hothousing venture IdeaJam. Its partnered with Intel and 48 creative professionals for a narrative experiment that will yield “six, short, digital content units.” Here’s what that means. Ashton Kutcher’s production unit Katalyst has revealed its first output from new hothousing venture IdeaJam, where it partnered with Intel and 48 creative professionals for an experiment to invent new ways to tell stories in video format. And, no, this won’t make Two and A Half Men any funnier. The session is now over, and over the weekend YouTube revealed the entries in a special blog posting. The participants were “engaging with the online community” and “deepening the connections between video and viewer” according to Google…but what did they actually produce? How about the odd notion of “MatchMyFriend,” which would allow you to watch a live stream of your friend’s first date, after you’ve set them up with another of your acquaintances–a mashup of dating sites and social media, that repays your effort at setting two people up together on a date with a little voyeuristic pleasure. There’s also Alibuys–a “business that sells alibis online,” one that would help clients with their problems by purchasing an excuse to help them solve a tricky problem. Did the teams actually invent new ways to tell a story? The judges will have one opinion, you may have another.